Choosing the right puppy worm medicine is hugely important because in order to be effective the treatment has to be tailored to the specific type of worm (or worms) your little Rascal has. Some puppy worms attack the digestive system, others can set up home in your puppy's lungs, heart or other organs. To complicate things, most worms, worm eggs or worm larvae are NOT visible to the naked eye and even the ones that are can be missed if you don't know what you're looking for. In order to get the right puppy deworming medication you need to know for sure what type of worm/s you're dealing with... and to do that a veterinary exam and appropriate tests are needed. Once you know exactly what type/s of worms your puppy has there are a variety of dewormers that can be used to kill them effectively. Most puppy worm medicines kill more than one type of worm, so depending on what your little Rascal's diagnosis is chances are he'll just need one product. Often the medication has to be given several times over a period of weeks to make sure that all the worms are eliminated. 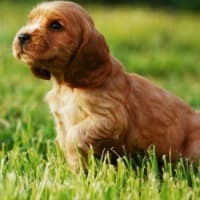 This is because many puppy deworming medicines kill only adult worms and eggs and larvae already in your puppy's body have to go be given time to mature so that the medicine will kill eradicate them too. The dead worms are expelled from Rascal's body in his stools, so it's totally normal to see worms (sometimes a LOT of worms) in his poop for several days after he's been treated. If you want to treat your puppy's worms more naturally, and without the chemicals and side-effects that veterinary dewormers can have, there ARE natural deworming options for puppies. Regardless of which route you take, you need a stool sample tested by your veterinarian to find out what type of worms your Rascal has. Also, if the worm infestation is severe or is making your pup ill, natural dewomers may not be strong enough to eliminate the parasites. In that situation, using a chemically-based product first is recommended. For mild, or even moderate worm problems, or as a worm-preventative, natural puppy dewormers are a safe, and effective option. And here's a table which gives you a look at the brand names of the most commonly used puppy worm medicines, with the active ingredient/s listed. It also shows the minimum age/weight a puppy needs to be in order to be given them safely..
What are the possible side effects of intestinal puppy worm medicines? As with all medications, there's always a slight chance of an allergic reaction to puppy worm medicine. A severe allergic reaction can be very serious and the symptoms of one are pretty obvious and generally appear quickly. Heartworm and lungworm treatment isn't as straightforward as treating intestinal puppy worms. The focus is on prevention for heartworms because the disease can be so serious and doesn't show symptoms until it has progressed enough to make your pup/dog very sick. So, for heartworms a preventative is the way to go. Some heartworm prevention medications are also designed to prevent/kill fleas and/or ticks and possibly other flying/biting insects such as mosquitoes. 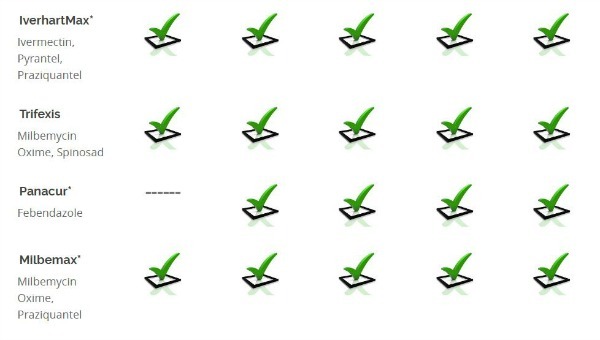 They include well known names like Advantage, Trifexis and Sentinel. Several of these also kill intestinal worms such as roundworms and tapeworms so, depending on the exact combination of worms that Rascal has, you can use one product to protect your puppy from multiple parasites. Heartgard was formulated specifically to prevent heartworm and is the most commonly used heartworm preventative for dogs. The treatment of adult heartworms (if an older puppy or dog has developed the full-blown disease) involves medication and rest and can be long, uncomfortable and potentially dangerous. There are two drugs which are FDA approved to treat heartworm disease in dogs, Melarsomine and Immiticide. 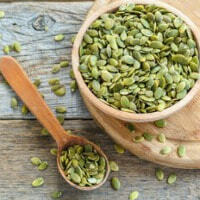 Both are powerful medicines which contain arsenic. Your pup/dog is likely to feel nauseous and unwell, and can suffer from muscle pain during treatment. 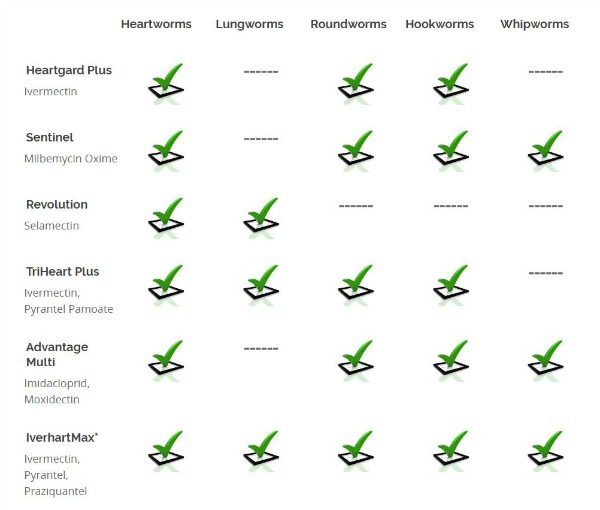 Heartworm medicines can cause adverse reaction, and can even result in death, but a full-on heartworm infestation is fatal if left untreated so treatment is not optional. Your veterinarian will administer it by injection and your pup/dog has to be kept rested and inactive during the entire treatment/recovery phase which can last several months. This is to prevent serious complications as the worms die off and are absorbed into his body. When your realize that the alternative to heartworm treatment is death or euthanasia following the treatment protocol doesn't seem so bad! Milbemycin Oxime or Moxidectin are also used as a heartworm preventatives, but aren't thought to be as effective as Ivermectin. Some breeds have a genetic sensitivity to Ivermectin which puts them at risk of severe adverse reactions, and can even be deadly. Puppies (and dogs) from these breeds shouldn't be given any products which contain Ivermectin. For these dogs products containing Milbemycin Oxime or Moxidectin are the most popular alternative. Medications used to prevent/treat a lungworm infection in puppies can include Ivermectin, Febendazole and Selamectin. 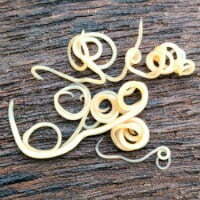 They're also used to prevent/treat other types of worms and parasites. What are the potential side effects of dog heartworm medication? 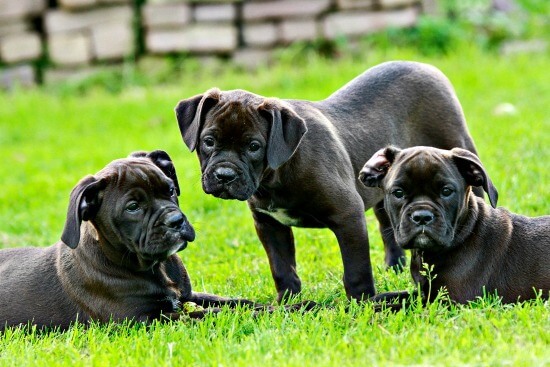 Puppies and dogs from the breeds which are hypersensitive to Ivermectin can suffer overdose/toxicity reactions to even a small amount of any product which contains it, and are at risk of the effects being fatal. Treatment for an actual heartworm infestation (as opposed to preventative treatment) consists of some very strong drugs and complete rest so that the worms can be killed and absorbed into the body safely without causing circulation/heart/embolism/blood clots and other serious problems. Both Diroban and Immiticide are called 'adulticides' because they contain arsenic which will kill the adult heartworms. They are injected rather than ingested. An emergency vet visit is needed because there is a serious problem. In addition to the adulticide medicines, a pup or dog with heartworm will also be given Ivermectin one month after the last injection of Melarsomine or Immiticide. This is to kill the heartworms which are in the larvae stage (aka microfilaria). It's important to kill ALL heartworms at ALL stages of development. 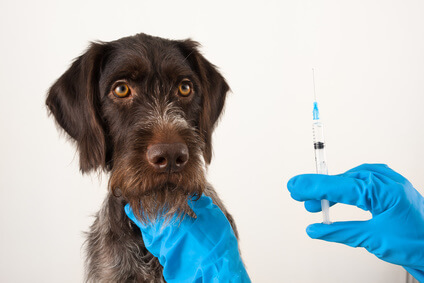 Giving a course of three injections (aka a 'split dose') means the treatment/recovery takes a little longer but is considered to be safer, especially for dogs with severe infestations or other health problems. After the first injection the veterinarian waits one month before giving the second and third injections twenty-four hours apart. Doxycline is also usually given because it kills additional parasites called Wolbachia which are attached to the heartworms themselves. In addition to the strict rest and inactivity, corticosteroids, IV fluids, IV nutrition, and/or oxygen might be needed at some point during recovery. The treatment of a heartworm infestation takes several months, on average about three, but full recovery can take up to six months, depending on how severe the infestation was. There are a huge variety of puppy worm medicines and the one/s used for your puppy depend on which types of worms he has. Many puppy dewormers treat a number of different worms and parasites simultaneously. Treating proactively for intestinal worms (at approx. 3, 6, 8 and 12 weeks) is recommended and can make sure that your little Rascal doesn't suffer any ill effects from any intestinal worms he may be harboring. Using a regular heartworm preventative is important because protecting your pup from ever developing a heartworm infestation is much easier, and safer, than treating one. Most puppy deworming products have the potential to cause side effects, some of which can be serious, so it's important to know what signs to look for that might mean trouble. Some dog breeds have a genetic hypersensitivity to Ivermectin and should NOT be given heartworm preventatives or treatment which contains this active ingredient.